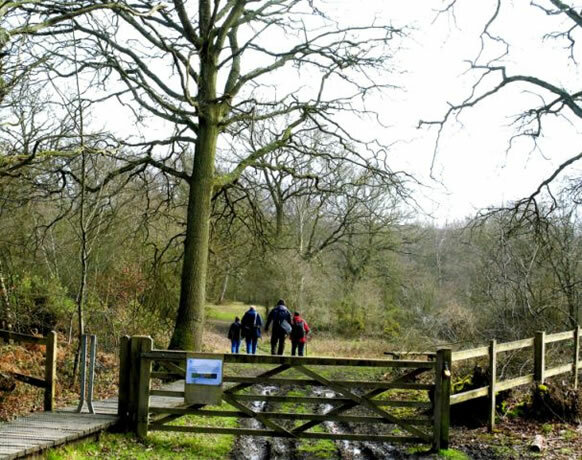 Many people come to Ruislip Woods for many different reasons, we'd like to see pictures of people in the woods simply enjoying themselves or doing something specific like entertaining their toddlers, walking in the mud, cycling, running, walking to school, bird spotting, a family walk after Sunday lunch etc. The 2015 competition will, for the first time, allow digital entries. Enter Digitally or with a Printed Photograph. This year there are two ways to enter digitally or by sending in a hard copy. All digital entries will be reviewed and the top 12 as decided by our judges will be printed (by the Trust) and these will be displayed alongside all hard copy entries at the Ruislip Woods Festival on 10th May 2015 when final judging of all photos on display will take place and prizes will be awarded. Secretary@ruislipwoodstrust.org.uk either by e-mail or through dropbox. Please ensure that your con- tact details are included on the e-mail. The photographers of the top 12 entries will be notified by e-mail and their entries will be printed and entered in the Festival Day Final. 10 Swakeleys Drive, Ickenham, Uxbridge Middx. UB10 8QB. Please note, these addresses are different to that used in previous years. Please note that the photos cannot be returned. Preferred size of entry is between 6”x 4” and 10”x 8” Max 3 per candidate. For more information on the competition or for details on joining "the Friends of Ruislip Woods" please contact secretary@ruislipwoodstrust.org.uk or phone 01895 235304.